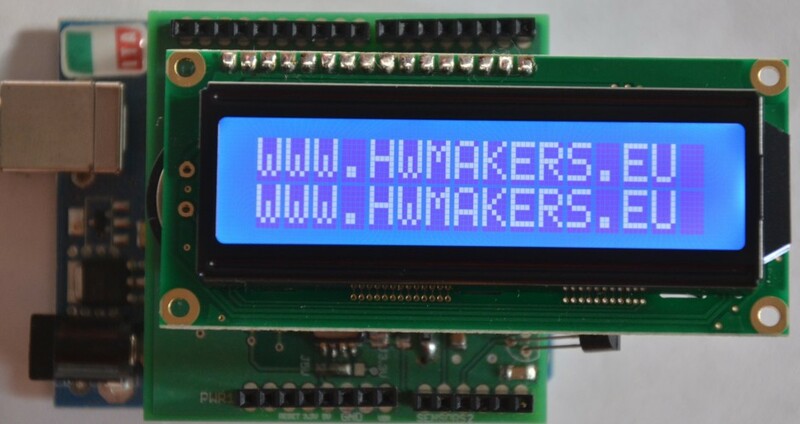 We have already seen two amazing mini keyboards which are the best companion for your embedded system like Raspberry Pi and other boards as well as media systems and desktop pc. Today we want to show you another two keyboards made by Riitek: the Rii mini i10 and Rii mini i13. Both keyboards have the same high quality level of manufacturing which is the distinct sign of the Riitek products: every keyboard key is made with rubber which give a good feeling during the use also for guys who have quite big hands; the layout is well designed and the dimensions of the keys are different for the most used and special function buttons like “enter”, “space” and so on which are also located in well choosen positions in order to guarantee the most enjoable use as possible. As visible in the previous pictures, both keyboards have a power on switch located near the mini USB connector. 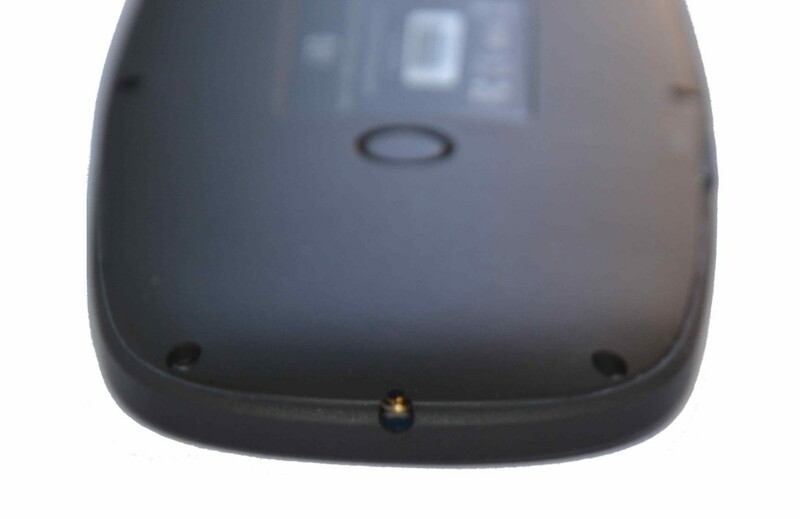 Once the keyboards are on, to extend the battery life and to reduce the charging intervals, an auto sleep and wake up function is active: after a long period of inactivity the keyboard go into sleep mode which can be exited by pressing any key. The mini i10 has been tested without any issues or difficulties with Windows 7 and Linux (Fedora 18). Riitek gives a list of android, windows mobile and symbian smartphones on which the keyboard has been tested in order to make sure that it is possible to directly use it with our mobile phones as well as with our desktop systems. The mini i13 is really amazing! 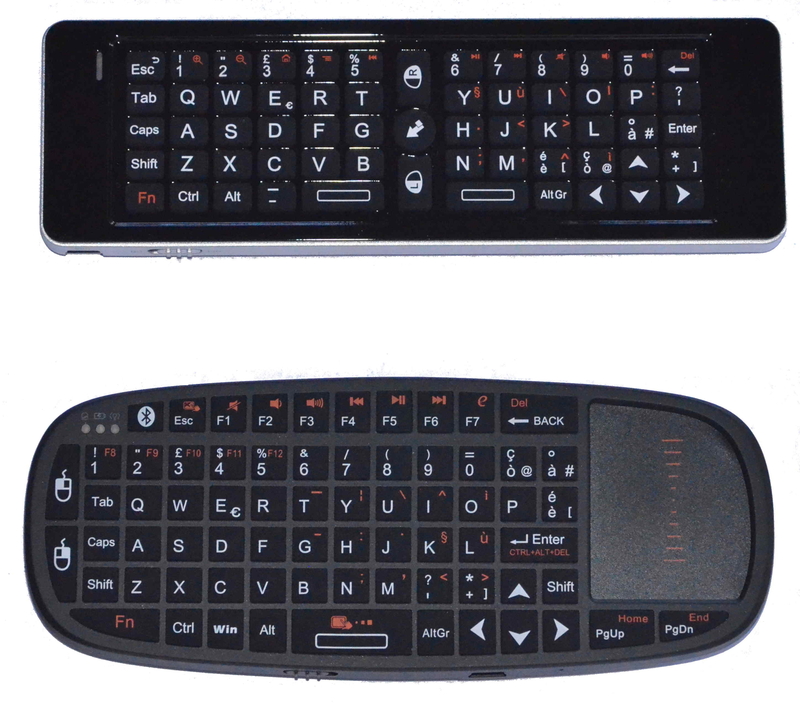 As you can see looking at its back, it can be easily programmed in order to replace up to eight different commercial remote controllers, a very useful feature to have only one keyboard which can completely control not only your linux, android or windows based mediacenter, but also the TV set, the DVD player, the CD player and so on. The features are not finished! Looking at the mini i13 layout, we can not find any mouse pad: it is available and selectable when necessary, a G-sensor mouse which can be controlled by moving the keyboard on your hand. The first time it could be quite difficult to be used to it but after a little practice it is pretty confortable. The funcionalities of this keyboard are already impressive though they are not finished: to complete its multimedia nature, the mini i13 can be used as wireless Skype heandset. There is just a little white noise during communications, maybe related to the WIFI transmission which can be performed up to about 10m from the USB WIFI dongle.